When wildlife managers in Washington State recently used lethal means to remove a wolf pack that had been munching on cattle in the northeast corner of the state, it ignited a polarizing debate, and according to KING 5 News, the controversy has taken on a sinister tone with reported death threats to wildlife officials. 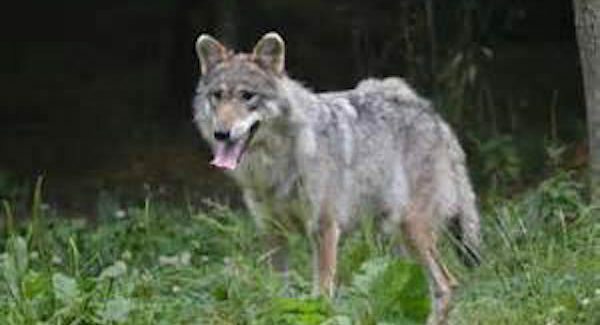 Washington Department of Fish and Wildlife (WDFW) officials decided to eliminate the Profanity Peak wolf pack in Ferry County several days ago, because they are apparently responsible for a dozen cattle kills over the past six weeks, according to KING. Apparently some wolf advocates don’t like that, even though the potential for lethal removal had been part of the discussion almost since wolf management started cranking up some time ago. This is not a problem confined to Washington. Across the Northern Tier states including Idaho, Montana and as far east as Minnesota and Michigan’s Upper Peninsula, wolf restoration has been a prickly and very political subject. On one side are environmentalists and on the other side are ranchers and hunters, with wildlife managers caught in the middle. There have been lawsuits, protests, conflicting documentation and nasty arguments. There have also been a few prosecutions for illegal wolf kills, and allegations of unauthorized wolf transplants. A couple of states (Idaho and Montana) where wolves have been de-listed have allowed hunting, an activity that has also brought protests and legal action. A study in Michigan revealed that more deer were killed by coyotes and bobcats than wolves on the Upper Peninsula. In Wyoming earlier this year, a wolf pack was blamed for killing 19 elk in what National Geographic called a “rare surplus killing.” That’s when wolves kill more animals than they can eat. In Idaho about five years ago, a bowhunter killed a wolf that she said tried to attack her. In 2010, a teacher in Alaska was killed by wolves while she was apparently jogging near the remote Southwest village of Chignik. Back in Washington, the task is to build trust among ranchers and conservationists, KING reported. If ranchers, whose cattle graze on public lands under lease, are encouraged to be part of the solution instead of a problem, their concerns about depredation must be addressed. The same might be said in defense of the livestock being killed by the wolves. Talking about wolf management and control is almost as volatile as discussing gun control. There does not appear to be any middle ground, although it looks like the WDFW is trying to find some. It’s not ‘gun control,’ it’s ‘gun responsibility,’ but by whose definition? Next articleDo Senate races favor a Republican majority?